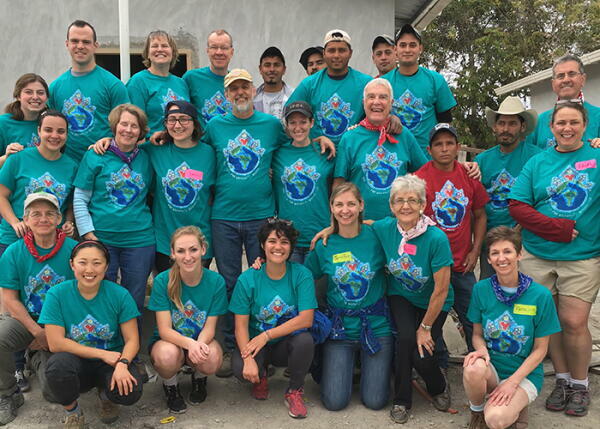 Last week, 18 volunteers from Orange and Durham Counties ventured on a Global Village trip to build houses and community in Santa Rosa, Honduras. 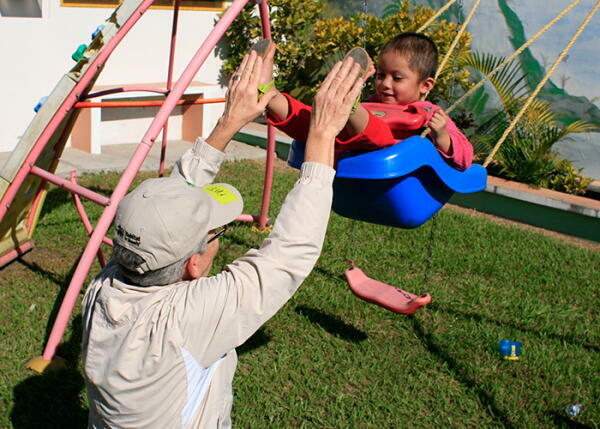 Our fearless leaders, Margaret and Miguel Rubiera, have led 24 trips to this community. Our flight was scheduled to leave at 6:25am on Friday, January 22. That Friday, you may remember, was the beginning of Snowpocalypse 2016. I was sure our flight would be cancelled and we would spend the weekend snowed in at RDU reenacting the movie Terminal. However, by some miracle we were on one of only five flights in the entire airport that hadn’t been cancelled—and our wheels took off just as the snow flurries started to pick up steam. 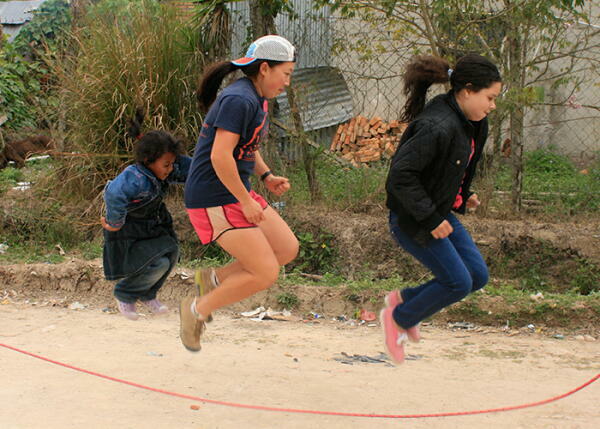 We spent six days working in a Habitat neighborhood in El Rosario. The neighborhood was almost complete and we worked on plastering the last three houses and landscaping (read: wheelbarrowing dirt). The plastering required a skill that at first we did not possess. 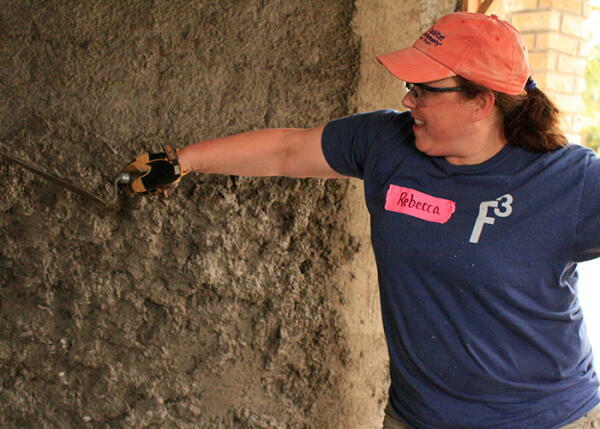 Many participants joked that we got more plaster on ourselves than the wall. However, we rationalized our presence by saying that even if we weren’t helping the local masons build the houses faster, we were at the very least providing them with something to laugh at. Perhaps the most physically fit member of our team, Conor (although “Old Bob” really did give him a run for his money with all that wheelbarrowing), took on the job of digging a six-foot-deep septic hole. Many potty jokes were made; I will not repeat them here. 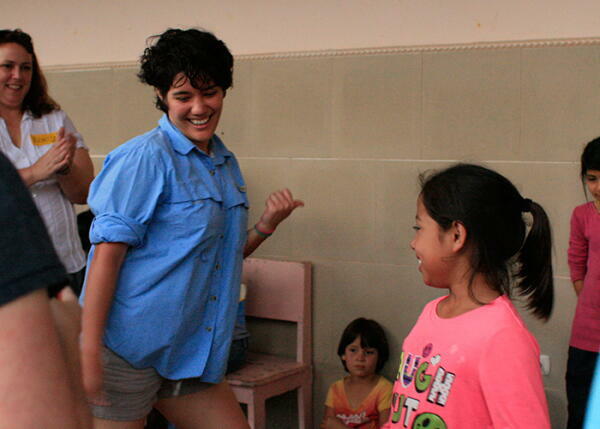 When volunteers needed a break from manual labor, we colored and played with the local kids. Many of our volunteers demonstrated excellent children skills that I (as the youngest child) found very impressive. 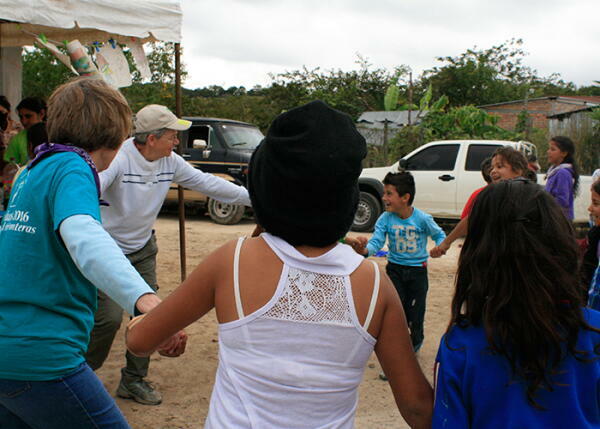 When we weren’t at the work site, we spent time getting to know members of the local community. We visited a home for the elderly as well as two local orphanages. On our last day of work we had a dedication ceremony, complete with a band, piñata, and dancing. 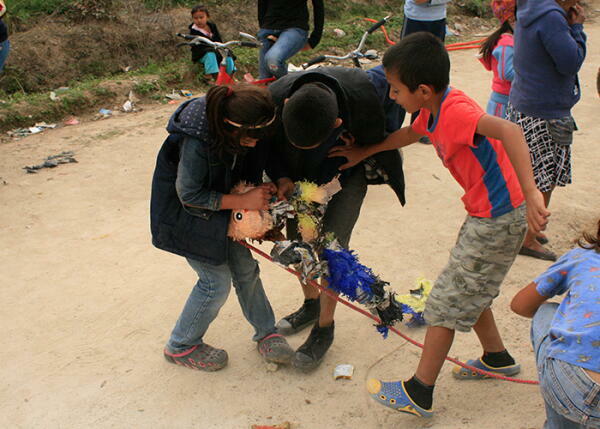 Although we feared for our lives slightly during the breaking of the piñata, we all lived to tell the tale. 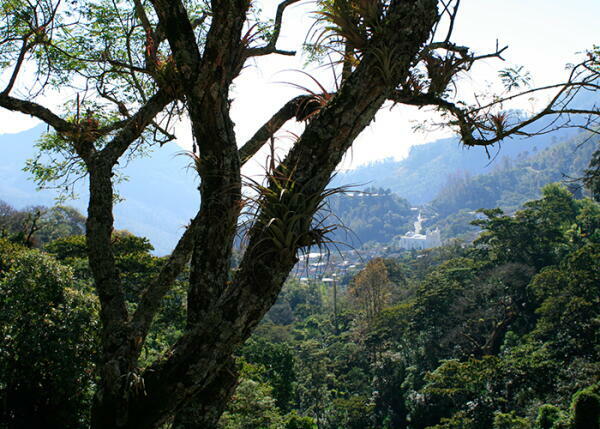 Two days on the trip were reserved for visiting the mountain town of Belén Gualcho and the Copán Ruins. Check out the rest of the photos from the trip here. If this story piqued your interest (fingers crossed) and you’re thinking about going on the trip next year, please email Jennifer Player at jplayer@orangehabitat.org to be added to the interest list. We hope to see you there!